Asad Umar, who will be contesting from NA-54 constituency in Islamabad, announced Khalil's endorsement of his party on Facebook. 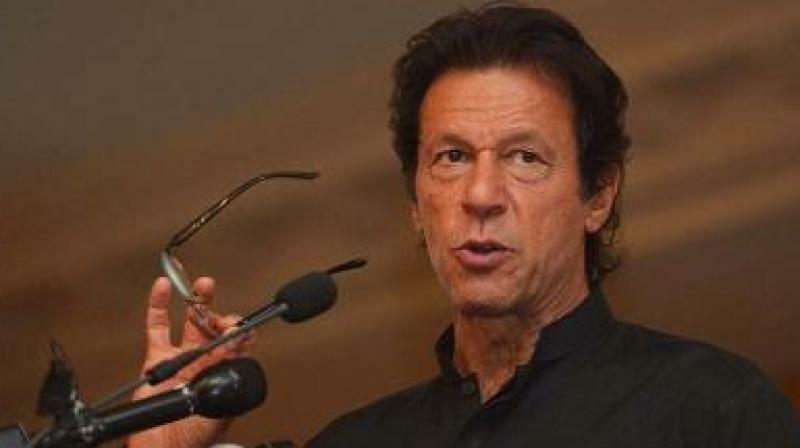 Islamabad: Fazlur Rehman Khalil, the founder of the Pakistan-based terrorist organisation Harkat-ul-Mujahideen (HuM), has announced his support for Pakistan Tehreek-e-Insaf (PTI) in the forthcoming July 25 General Elections. PTI leader Asad Umar, who will be contesting from the NA-54 constituency in Islamabad, announced Khalil's endorsement of his party on Facebook. "Maulana Fazlur Rehman Khalil and several of his companions and scholars have announced their support for Pakistan Tehreek-e-Insaf," he wrote in his post. Khalil is the founder of the banned Islamic militant group HuM and is now the head of the Ansar-ul-Umma, which is widely accused of being a front for HuM. The group is considered to be connected with Osama bin Laden and organisations such as the al-Qaeda. It has been deemed a 'terrorist organisation' by the United Nations, the United Kingdom, the United States, and India, among others. This comes with the continuing acceptance and appeasement of extremist and militant groups in the political arena of Pakistan, according to a Pakistan-based editorial. In an op-ed titled, "The thriving killing fields" by Noreen Haider, published in The Nation, the writer compares the alarming situation in Pakistan with that of Awami National League (ANP) leader Haroon Bilour, who was killed in a suicide attack in Peshawar on July 10. Haider opined that despite Pakistan military making claims that they had achieved unprecedented success on conducting several operations against terrorists, the threats of the madrassas and mother organisations breeding militancy, extremism and terrorism remained unaffected in the country. The writer also explained that a new strategy has been adopted by "mainstreaming" and including terrorist organisations in the electoral process in Pakistani politics. These groups were renamed and rebranded as "political parties" and had been allocated party symbols, offering them a legitimate chance to contest general elections. She cited the Imran Khan-led PTI government's funding of madrassas in Khyber Pakhtunkhwa as an example.